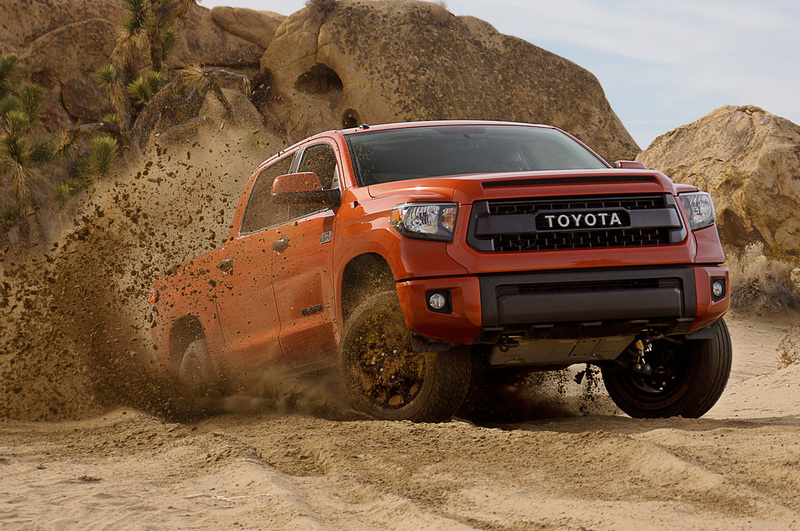 As Ford prepares to move in an aluminum direction and every truck manufacturer seems to be making the switch to the turbocharged V6 engines, Toyota is staying true and loyal to their pickup fans. Their 2015 lineup will be comprised of good ol’ fashioned steel V8 Toyota Tundras. Of course, the Tundra Pro isn’t the only pickup that has a V8; Toyota has decided to give every pickup model across the board the standard V8 package, delivering the rumble that every true truck fan loves (check it out on the video!). Is it strange that the Tundra is now advertising itself as some sort of classic American truck? Hell yes, it is. But on paper, the 2015 Toyota Tundra appears to be the most traditional truck on the market this year, delivering all of the classic comforts of the American past. 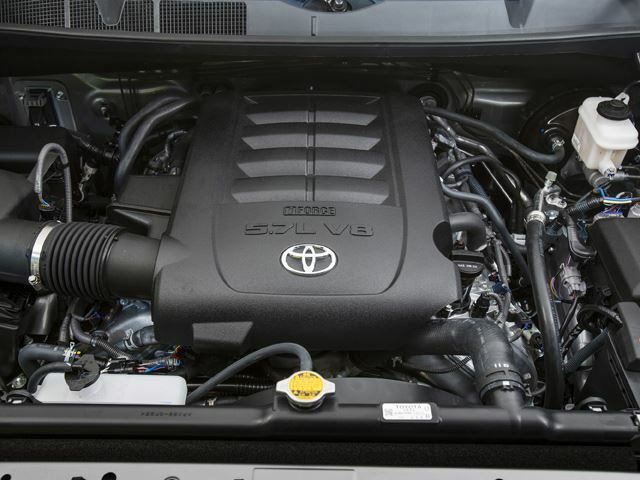 This entry was posted in Toyota and tagged 2015, toyota tundra, V8 engine. Bookmark the permalink.